Acupuncture is the strategic insertion of fine needles into specific points on the body’s surface for the purpose of stimulating healing. It is part of an ancient system of health care developed in China over 3000 years ago. Acupuncture is based on the concept that energy (called chi) flows through the body in certain patterns (meridians). The free flow of these energies ensures good health. Change in the free flow of this energy, such as blockages, stuckness or imbalances, are believed to lead to pain, congestion and eventually disease conditions in the body. Recent research has clarified some of the physiologic and biochemical bases of acupuncture. Acupuncture stimulation has been shown to release central nervous system endorphins and spinal cord dynorphins, explaining part of its mechanism of action. It has also been shown to promote the release of the chemical that activates the adrenal glands (adrenocorticotrophic hormone or ACTH), affect chemicals that are known to be involved in mood and pain perception (serotonin, GABA, catecholamines, dopamine, etc), and influence one of the body’s pain-generating messengers (substance P). While its effects have traditionally been explained in terms of energy flow dynamics (Qi or Chi), science has shown that acupuncture may work at least partly by directly affecting the function of the nervous system. Since the 1970′s, acupuncture has been practiced in the United States by licensed acupuncturists. It has been used to treat a wide variety of health conditions, as well as to maintain an optimal state of health. Based on clinical experience, the World Health Organization lists more than 40 conditions for which acupuncture might be considered, including a variety of digestive, gynecological, neurological, respiratory, and psychological conditions. 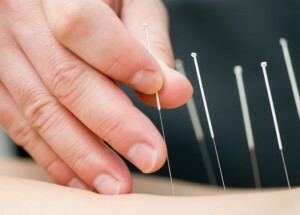 In 1997, the National Institutes of Health Consensus Development Conference, a panel of experts, reviewed the scientific evidence on the effectiveness of acupuncture and concluded that acupuncture was effective for postoperative dental pain, and helpful as an additional treatment for headache, menstrual cramps, fibromyalgia, myofascial pain, osteoarthritis, tennis elbow, low back pain, and carpal tunnel syndrome. More recent studies and reviews have supported the use of acupuncture for migraine and tension headaches (Melchart, 2001), chronic neck pain (Irnich, 2001), and low back pain, neck pain and soft-tissue injuries of the peripheral joints (Kerr, 2001). According to a recent National Institutes of Health study, acupuncture is most frequently used in both China and the U.S. for musculoskeletal pain relief, with other common uses for pain including migraine and peripheral nerve neuralgia (Xu X, 2001).